MCA provides Treasurer Training Seminars for association treasurers. To get information about upcoming free seminars, please contact us. 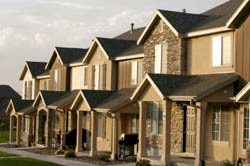 At Michigan Community Auditors we offer reviews and compilations for Michigan's condominium and homeowner associations. We can also prepare your association's tax return in accordance with federal tax laws. For typical condominium and homeowner association reviews, our fees are approximately $750, which includes the preparation of the association's standard federal tax return. The cost for a compilation is somewhat lower. We also provide independent CPA services for commercial condominium associations, though they are usually somewhat more complex. An outside, independent CPA review can help give you and your association members peace of mind that your association's finances are being handled properly and that the year end financial statements are being prepared accurately. Tax return only? For associations that desire only a standard association federal tax return, we can provide that for just $100. Our firm's most recent peer review was completed in 2017.